‘The Mill and The Cross’ special screening at the National Gallery in London on March 17th 2012 will be accompanied by the exhibition “Lech Majewski and Moving Walls” on March 16th - May 13th. “The Mill and The cross” was nominated for the Orły 2012 award in 4 categories: the best music, photo, costume design and visual effects. Results will be announced on Monday 5th March 2012. The final award ceremony of the 36th Festival in Gdynia was held on the 11th of June. The Jury honored “The Mill and the Cross” by Lech Majewski with the Jury Special Award. The film also received awards in three other categories – for sound, art direction and costumes. "The Mill & the Cross"
We are very pleased to announce that the extraordinary film, which we have coproduced “The Mil and The Cross” directed by Lech Majewski will enter cinemas on 18th of March 2011. 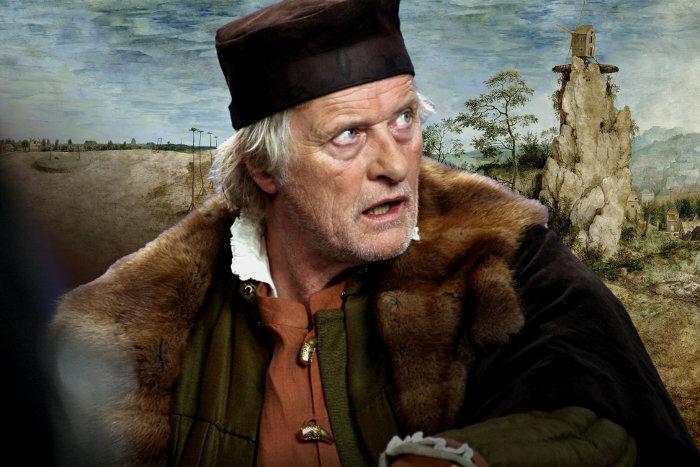 The film is based on Pieter Bruegel painting “Way to Calvary” and features, among others, Charlotte Rampling, Ruud Houers, Michael York and Joanna Litwin. The film was presented in the innovation sections of Sundance and Rotterdam festivals. The European premiere took place in Louvre, in Paris.